Explore.org, an arm of the Annenberg Foundation, has found a fantastic way to honor our veterans. 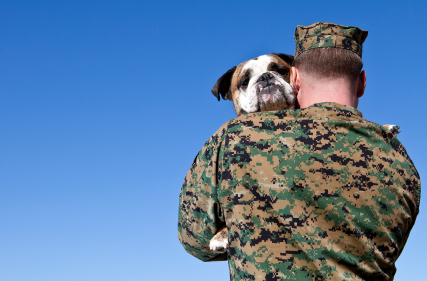 Explore.org will donate up to 100 service dogs (to the tune of up to $500,000) to veterans suffering from post-traumatic stress disorder. You can help them reach this goal by liking the “Dog Bless You” Facebook Community. Explore.org will donate one dog for every 5,000 likes. Explore.org and the Annenberg Foundation are using the “Dog Bless You” campaign to raise awareness of our vets in need, and the amazing role that service dogs can play in their recovery. You can learn more about this worthy program in this Mother Nature Network article from last Friday. At the time of this post, “Dog Bless You” had over 186,000 likes! You have until July 4 to help Explore.org reach its goal. Speaking of making a difference through service dogs, the Washington Post recently did an update on Andrew Stevens and his quest to have his service dog, Alaya, accompany him to school. Andrew’s parents, Angelo and Nancy Stevens, fought the Fairfax County Public School system when it denied Andrew, who suffers from a severe form of epilepsy, the right to bring Alaya to school. The school system came to a truce, and set up a trial period earlier this year. After three successful weeks, the school system finally agreed that Andrew can properly handle Alaya on his own, and are now allowing Alaya to accompany Andrew to school. Better yet, the Stevens’ hard work also convinced Virginia’s Department of Education to revise its policy to allow school kids to have service dogs, provided the student can handle the dog properly. In their ongoing quest to fight for their son and others who can benefit from service animals, Angelo and Nancy Stevens have established The Andrew Gordon Stevens Foundation. And – in keeping with the Memorial Day message – it is worth noting that Angelo Stevens serves our country as an Army sergeant! Categories: Media, Pet Owners | Tags: ADA, kudos, service animals | Permalink. 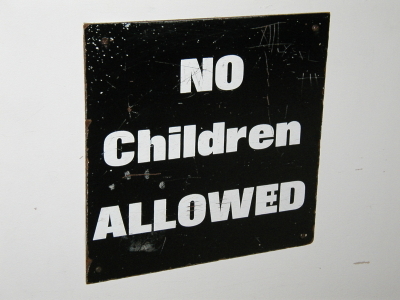 We’ve all seen signs that say “No Dogs Allowed.” But “No Kids Allowed”? 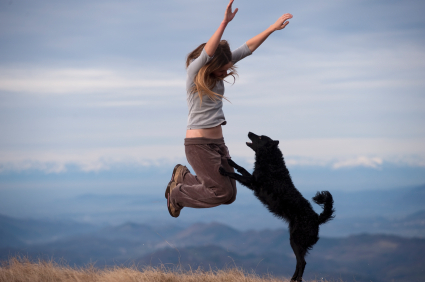 That’s exactly what is about to happen in Arlington County’s dog parks. Arlington County plans to ban kids under 8, and require an adult to accompany kids 8 to 14. Some find the ban unnecessary, while others find this a very appropriate ending to National Dog Bite Prevention Week. The Examiner’s story by Gwyn Donahue gives details about a Shirlington Community Canine Area meeting from yesterday, and notes that neighboring jurisdictions also have rules about kids in dog parks. Fairfax bans kids 8 and under from its dog parks, requires adult supervision for kids 9 to 15, and requires handlers to be at least 16. 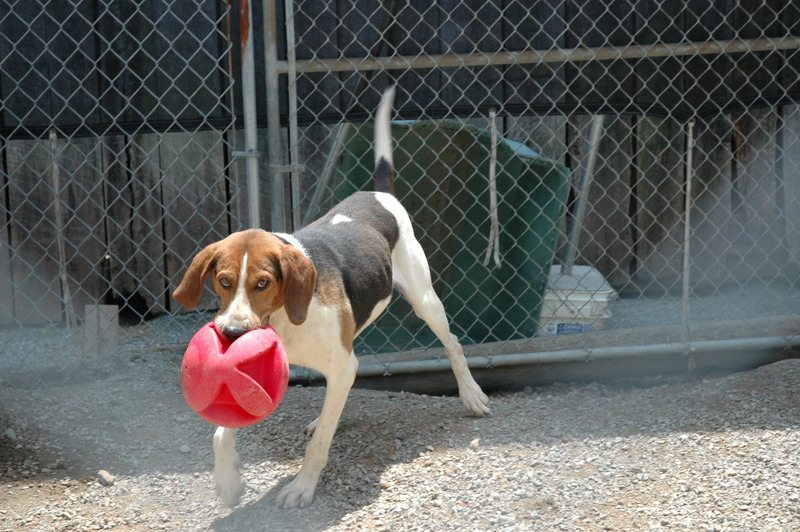 Alexandria requires adults to supervise kids under 16 inside fenced areas of its dog parks. Another story by Arlington Kids questions the reason for the ban, and concern about the fact that it seems the County has made its mind up already without much public input. WUSA News9 has posted a story and video about the controversy, and cites concerns not just of dog bites, but also unintentional injuries such as a child being knocked over accidentally while up to 100 dogs run around off leash at any given time in Arlington’s busiest dog park. If you would like to be heard, you can contact the Arlington County Department of Parks and Recreations Division Chief through the County’s Contact Us page or at (703) 228-6523 or -6525. And feel free to weigh in on the issue here! Categories: Animal Behaviorists and Trainers, Dog Walkers and Pet Sitters, Doggie Daycares, Boarders and Kennels, Media, Pet Owners, Pounds, Animal Control Officers and Law Enforcement | Tags: dog bites, owner responsibility | Permalink. Justice For All — Including Our Four-Legged Friends! As we finish out Be Kind To Animals Week, I am very pleased to announce that, just last week, Annette Thompson of Goochland County was convicted of six counts of failure to provide adequate care to dogs in her care, in violation of Virginia Code Section 3.2-6503. Over a period of years, Ms. Thompson, along with her purported rescue, Pet Rescue Foundation, has had from 100 to 300 dogs on her property. When times were too tough for Ms. Thompson to care for the animals, she would call for help. Individuals and several local rescues – Homeward Trails, A Forever Home and HART – answered the call by donating food, taking in animals, and spending thousands of dollars on veterinary care. But the do-gooders realized something was amiss when the number of dogs on Ms. Thompson’s property did not decrease, and the animals they pulled from the property continued to show serious medical conditions. Left with no options, they opted to present evidence to a Goochland County magistrate, who charged Ms. Thompson with failure to provide adequate care for the dogs. The complainants successfully prosecuted the case in Goochland General District Court, and Ms. Thompson appealed. Last week, Commonwealth Attorney Claiborne Stokes presented evidence of six dogs in Ms. Thompson’s care to Goochland County Circuit Court Judge Cullen. 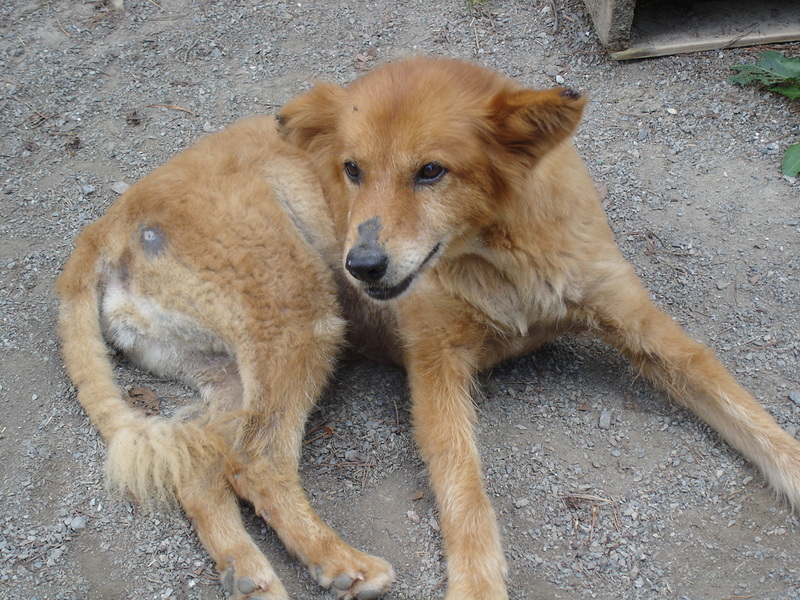 The remaining five dogs suffered from a variety of untreated ailments, with the common denominator being heartworm. 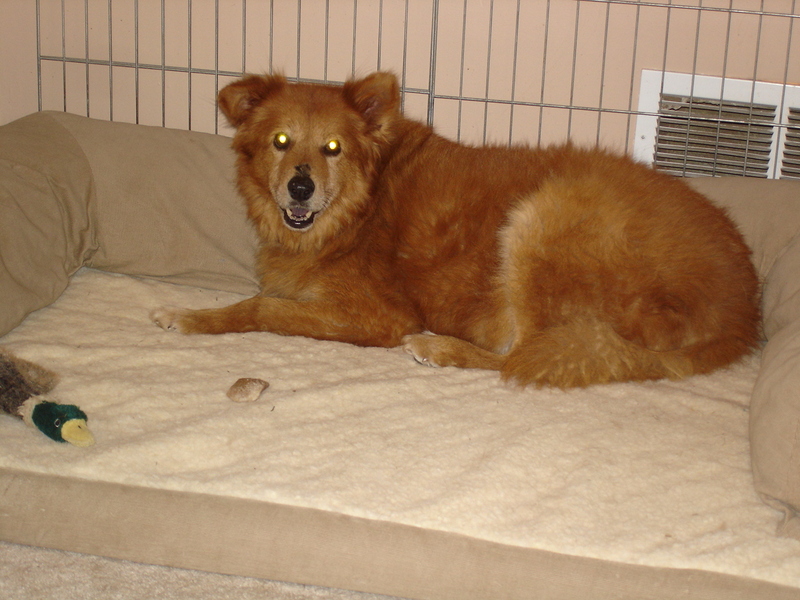 The most egregious of the five was Elizabeth, a sweet Chow mix who could barely get around due to arthritis, a neurological condition and age. Elizabeth’s ears were torn up by fly strike, and she had open wounds on her back where insects had attacked her. Elizabeth was rescued in October 2009, and taken to the veterinarian the next day. Elizabeth was underweight, starved for human interaction and filthy with flea dirt. She tested positive for heartworm and hookworm. Elizabeth was successfully treated, and currently lives with a foster. 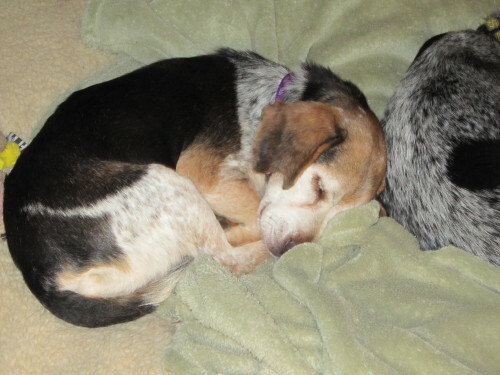 Two other dogs, Gingersnap and Birdy, were rescued by Homeward Trails in December 2009. Both tested positive for heartworm. Birdy also tested positive for whipworm. They were both successfully treated. 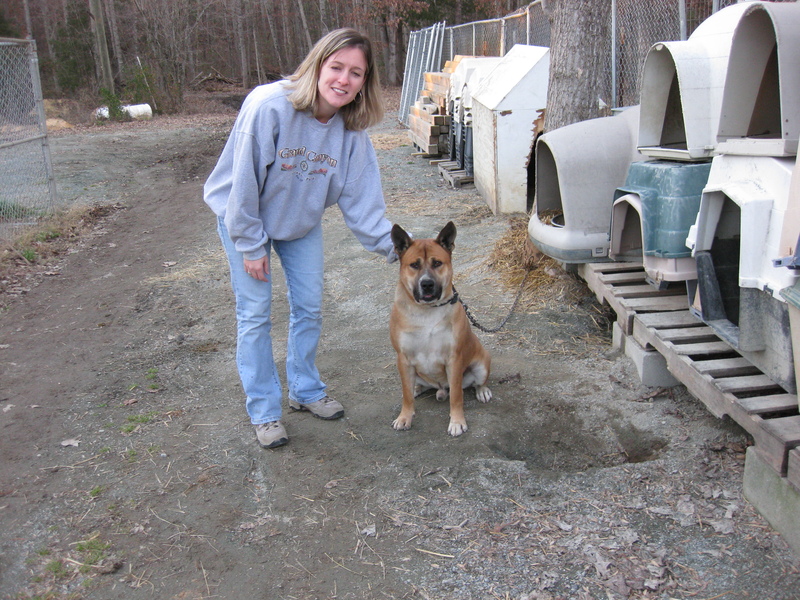 The last two dogs, Jack-O and Aunt May, were rescued in April 2009. Both tested positive for heartworm. Jack-O also suffered from kidney disease which made it unsafe to treat the heartworm, and he ultimately had to be euthanized. 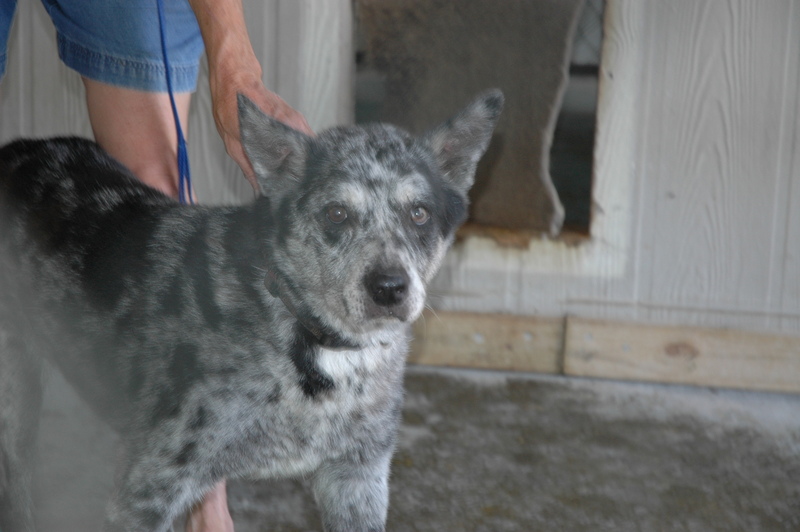 Aunt May also suffered from other ailments along with the heartworm, and was euthanized. Ms. Thompson’s defense was a claim that she was treating the dogs on her property with ivermectin for heartworm prevention. However, her heartworm protocol did not involve veterinary care or testing for heartworm before administering the preventative. She presented no records whatsoever for the dogs in her care – no veterinary records, no heartworm tests, and no information that she was weighing the dogs to ensure proper dosage, giving the proper amount of ivermectin or keeping a consistent schedule. Judge Cullen saw through Ms. Thompson’s alleged defenses, understood the duties imposed by the law, and convicted on all counts. For a variety of reasons, many, many more counts could have been presented for the numerous other animals who suffered on Ms. Thompson’s property. Nonetheless, these six convictions represent a great victory – against the notions that it’s OK to tether animals and self-medicate without consulting a veterinarian. Additionally, these convictions will bar Ms. Thompson from being able to operate a rescue or serve as a foster for a rescue. I’m grateful for the role I played in counseling the complainants and earning some justice for these dogs. Hearty congratulations to all involved with this trial! DISCLAIMER: CASE RESULTS DEPEND UPON A VARIETY OF FACTORS UNIQUE TO EACH CASE. CASE RESULTS DO NOT GUARANTEE OR PREDICT A SIMILAR RESULT IN ANY FUTURE CASE UNDERTAKEN BY A LAWYER. Categories: Animal Hospitals and Veterinarians, Media, Pet Owners, Pounds, Animal Control Officers and Law Enforcement, Rescues and Shelters | Tags: animal abuser registry, animal rights, criminal law, kudos, leash laws, owner responsibility | Permalink. The California Supreme Court has just decided to “let sleeping dogs lie” and decline further review of a California Court of Appeals decision in People v. Chung, which extended the “exigent circumstances” exception to the Fourth Amendment’s warrant requirement to animals in distress. 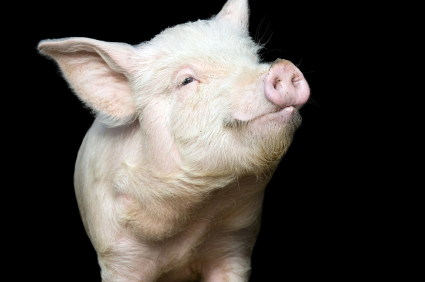 This is a major victory for combatting animal abuse and neglect! This move came in light of the Court’s recent decision in People v. Troyer, concluding that the police could invoke exigent circumstances to search a bedroom while looking for potential victims and suspects in a shooting incident. The Court put the Chung case on hold pending Troyer. Now that Troyer has been resolved and upheld the police officers’ actions under seemingly fuzzier facts, the Supreme Court of California was free to decide that no further appellate review was necessary in Chung. This decision keeps in place the Court of Appeals’ ruling upholding the police officers’ actions in Chung to investigate a call of a dog in severe distress and enter Chung’s residence, despite not having a warrant. Although I would have liked to have seen how the California Supreme Court would have handled the legal status of companion animals, the Court of Appeals decision had decent analysis on this point. For instance, Chung argued that exigent circumstances should be limited to protecting human life and should not extend to protection of an animal. 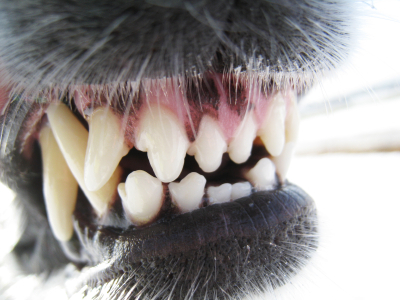 The Court of Appeals could have rested its decision on the fact that dogs are property and that California law allows for exigent circumstances to prevent damage to property. Instead, the court noted that that animal protection has long been a proper government concern, pointing to the fact that California’s animal cruelty statute dated back to 1872. The Court of Appeals also discussed (albeit in a footnote) that doges have long held a special place in our lives, serving as our companions, aiding the disabled, and functioning as police, military, search and rescue and therapy dogs. I will keep watching to see if this case is appealed to the United States Supreme Court, and will keep you posted! Categories: Pet Owners, Pounds, Animal Control Officers and Law Enforcement | Tags: animal rights, criminal law, exigent circumstances, legal status, owner responsibility | Permalink.